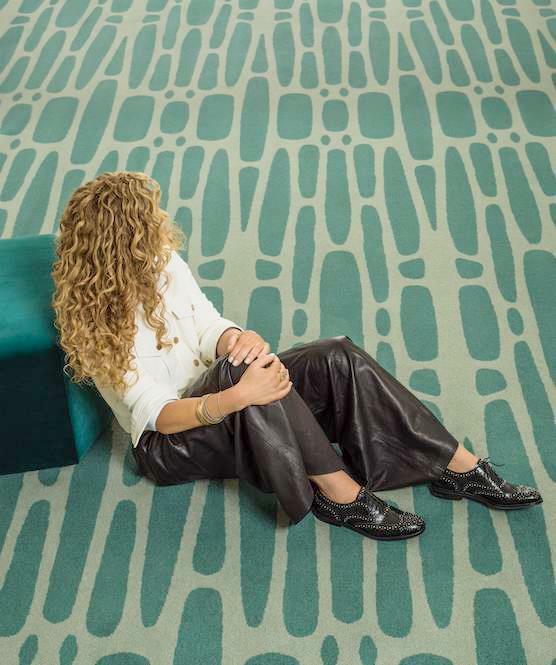 At DesignCurial, we were offered the chance to interview Kelly Hoppen to find out more about her new, debut carpet collection. 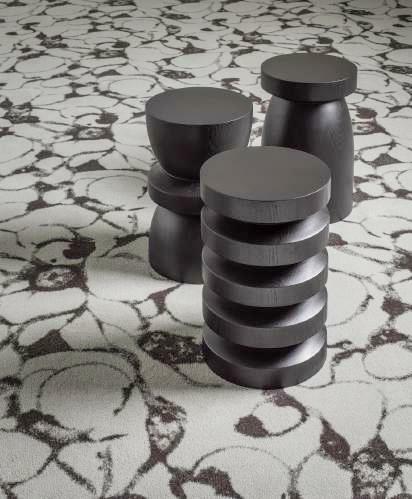 During Sleep, the Hotel Design Event that took place in London at the end of November, renowned interior designer Kelly Hoppen revealed her new venture – into the world of carpets. Teaming up with leading carpet manufacturer Brintons, Hoppen has created a bold new collection of contemporary woven carpets for the commercial sector. 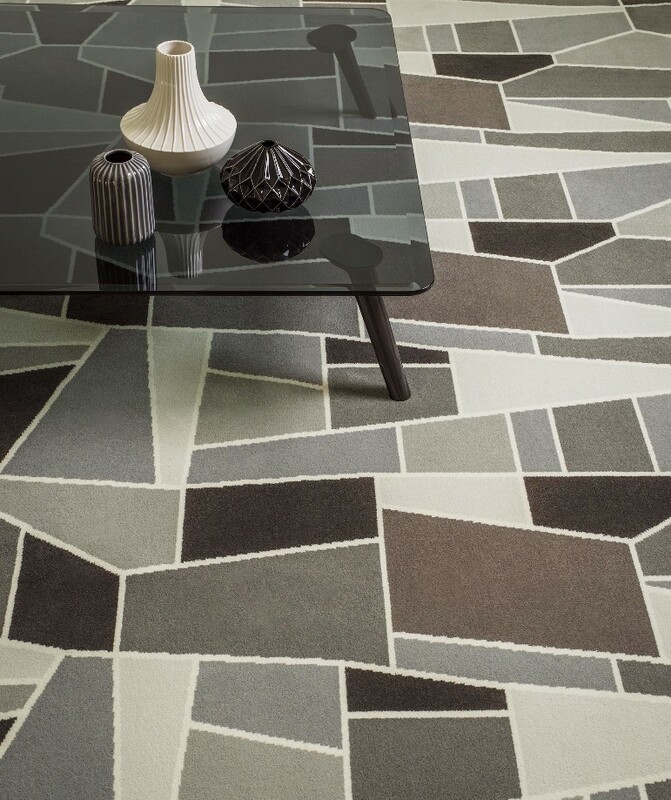 What was the inspiration behind creating a carpet collection / what made you decide to explore this specific decor? I always like to challenge myself, and with forty-one years in the industry, there are [only] few things I haven’t done- so when the opportunity arose to design a carpet collection with Brintons, it was an instant ‘yes’! I decided to explore this sector because I wanted to bring something different to the commercial carpet world, and to create cutting edge designs that are ‘out there’ compared to what we are seeing at the moment. What were the collection’s influences? I took influences from a diverse range of sources; from geometric shapes to elements found in my everyday surroundings - cracks in the pavement or splashes of paint. I then interpreted these initial stimuli into forms and designs. [For example], one of the pieces was inspired by ripples of sand, one was inspired by 20s Art Deco, and another by grains of wood - inspiration can be found anywhere. Were there any challenging moments throughout the design process? Deciding on the focus for this collection - I had so many ideas and so many sources of inspiration. At the beginning of the process, my mind was full of ideas taken from my everyday life; new cities I’ve explored; exhibitions visited; books I’ve read; films I’ve watched [etc]. Designing a carpet is [also] challenging in itself - it’s a vast space to design, and it is essentially a platform for the rest of the room’s decor. How did you feel about the launch, and what made Sleep, The Hotel Design event, the place to showcase the collection? I was extremely excited about the launch and being able to show the collection to the industry. Sleep was an obvious choice for showcasing this collection [because] it’s at the forefront of the hotel design and architecture industry – a perfect place for the launch. Was working with Brintons an obvious choice? Brintons were an obvious choice for this collection – [they are an] incredible company with great heritage. I wanted to create something to challenge the typical designs we see in the hospitality space, and I knew that Brintons would produce exactly what I wanted. One of the most important things to me is that it’s a British company, and as an ambassador for Great Britain, I’m very much a pioneer of British businesses.